What is Included in Commercial General Liability Insurance? - Lanes Insurance Inc.
What is Included in Commercial General Liability Insurance? Commercial general liability insurance is an essential part of any business insurance policy. It is your way of ensuring you, your company, and your employees can stay operational if something goes wrong. Without liability coverage, you would be on the hook to pay if your business’s actions — or lack of appropriate actions — caused property damage, injury, illness, death, or other losses. By far not an exhaustive list, examples of when you may be found liable are if a product you have designed and manufactured malfunctions and harms someone, if one of your products fails to work as advertised and breaks down (causing an interruption in business), or if a product starts a fire or another disturbance resulting in damage to property. Your commercial general liability policy is your way of mitigating the expenses associated with settling for damages. 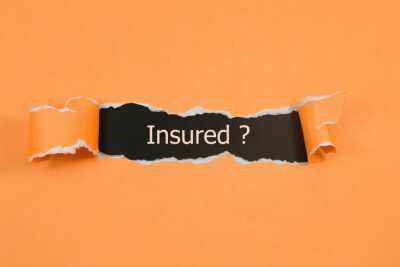 If, unfortunately, the incident ends up before the courts, as we all know, litigation is more than expensive enough to sink a business, so commercial general liability insurance is vital. As mentioned, commercial general liability coverage provides coverage for third-party property damage and third-party bodily injury. Third-party property damage is when your business somehow causes harm to someone else’s property. Commercial general liability insurance coverage will pay for repairs and retributions. Third-party bodily injury could mean someone being hurt by one of your employees failing to carry out their duties safely, or someone slipping and falling on your property, or one of your products causing an injury. Commercial general liability insurance will help with repairs and reprisals and/or legal expenses. What is NOT Included in Commercial General Liability Insurance? Liability issues resulting from issues arising from the ownership of commercial vehicles will not be covered by a commercial general liability insurance policy. Fleet vehicles need to be covered by a commercial auto insurance policy, which has its own component of liability insurance. Drivers who, while driving your business’s vehicles, are involved in an accident causing injury or damage, will be held legally responsible. In the case where a driver is held responsible for damages above and beyond what the comprehensive and/or collision aspects of your fleet insurance covers (such as if there is an injury), your company could be liable for the balance. The minimum amount of commercial auto insurance coverage required varies depending on the size of your fleet, its use, and many other variables. One of our experienced insurance brokers can help explain the ins and outs of commercial auto insurance coverage. If you have to stop your business for reasons such as equipment breaking down or a flood, commercial general liability insurance will not cover for income lost. For these sorts of eventualities it’s very wise to purchase business interruption insurance. Business interruption insurance provides compensation for financial losses resulting from unexpected circumstances that cause temporary or long-term interruptions to your business operations. You must inform your insurance provider about any changes to your business as soon as possible (even before the changes are implemented is best). This will ensure there are never any gaps in your coverage. Most commercial general liability insurance policies will not cover for damages incurred from a cyberattack. A separate cyber insurance policy is needed for these sorts of instances. Also known as CPM, an acronym for the three essential levels of protection it offers, cyber insurance is specifically designed to protect organizations and businesses from financial losses resulting from online criminal activity. “CPM” stands for “cyber, privacy, media,” reflecting the three spheres in which these policies work to protect you. If you have invested a large amount of funds in a certain type of food or drink because it’s popular and/or your customers expect it, a food recall can be a major disruption to your business. Not only are there transactions lost, but it could also result in damage to your business’s reputation. Worse, even if you are doing everything right for your food and beverage business, sometimes there is nothing you can do to prevent serving or selling a contaminated or bad product. If someone becomes ill after eating contaminated food from your business, you could be found liable. Food and beverage business insurance is additional commercial liability insurance that can help protect you in the case of unfortunate incidents such as these. The experienced and knowledgeable insurance brokers of Lane’s can help explain all of the ins and outs of the commercial general liability aspect of your commercial insurance coverage. We work for you – not the insurance companies. Just a sampling of the products we provide includes commercial auto insurance, commercial property insurance, commercial surety bonds, contract surety bonds, and contractors insurance. Contact us at our Calgary, Edmonton, Banff, and Alberta offices today.